Like millions of Canadians, debt consolidation or debt reduction is something you might be very interested in. We’re here not only to help take action in helping you reduce and consolidate your debt, but to provide you with information and advice on how to help yourself reduce your debt and become debt free sooner! As part of our commitment to you to help you become free of debt, we’ve put together a newsletter so you can be kept up to date on our debt management advice. You have the ability to put our recommendations into practice, and with our expertise, you will soon be able to say goodbye to that mountain of debt! 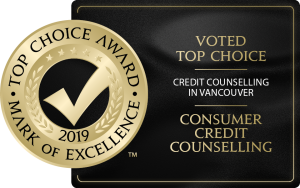 As one of Canada’s leading debt consolidation companies for over 20 years, we’ve built a flawless standing with creditors which has enabled us to negotiate the best possible terms to help you reduce your debt, enabling you to pay it off faster. To subscribe to our newsletter, simply click the link at the top of the page. Contact us today for a Free Consultation at 1-800-565-4595 or click HERE to fill in our online Budget Worksheet or fill in the Contact Form below.